This video was created by a local, STRONG, young woman, to share her experience with CF. 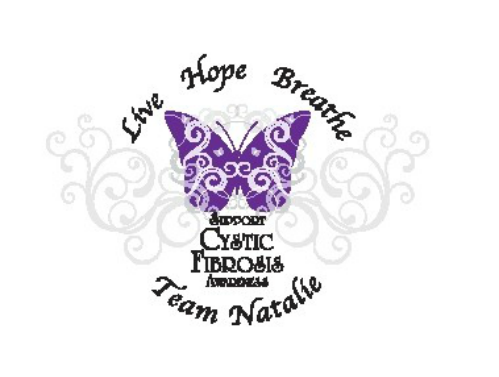 We at CF Team Natalie admire Olivia, her strength, and her optimism. ​We pray that Natalie will show similar traits to help her fight CF as she grows. ​What is Cystic Fibrosis (CF)? Approximately 30,000 children and adults in the United States have cystic fibrosis. Currently, there is no cure. The median age of survival is in the mid-30s. The steady rise of the median predicted age of survival suggests how improvements in treatment and care are advancing the lives of those with CF. In 1955, children with CF were not expected to live long enough to attend grade school. Today, thanks to continued Foundation-supported research and specialized care, an increasing number of people with cystic fibrosis are living into adulthood and leading healthier lived that include careers, marriage, and families of their own. For more information, please visit the Cystic Fibrosis Foundation's site.